Jimmie Dale Gilmore: Old-Time Sounds On 'Heirloom Music' Gilmore travels back to the 1930s for inspiration on his forthcoming album. The Texas singer talks about his songs and his upcoming performance at the 2011 South by Southwest music festival in Austin. "His voice would make even Hank Williams cry," Nicholas Dawidoff once wrote of Jimmie Dale Gilmore in The New York Times Magazine. Gilmore, a singer from West Texas, writes songs that would be described as alternative country. But for his forthcoming album, Heirloom Music — in which Gilmore teams up with the band The Wronglers — he says he was thinking more in terms of bluegrass music — although that's not an exact description. "We were calling it old-timey music, but that still wasn't quite accurate," he says. 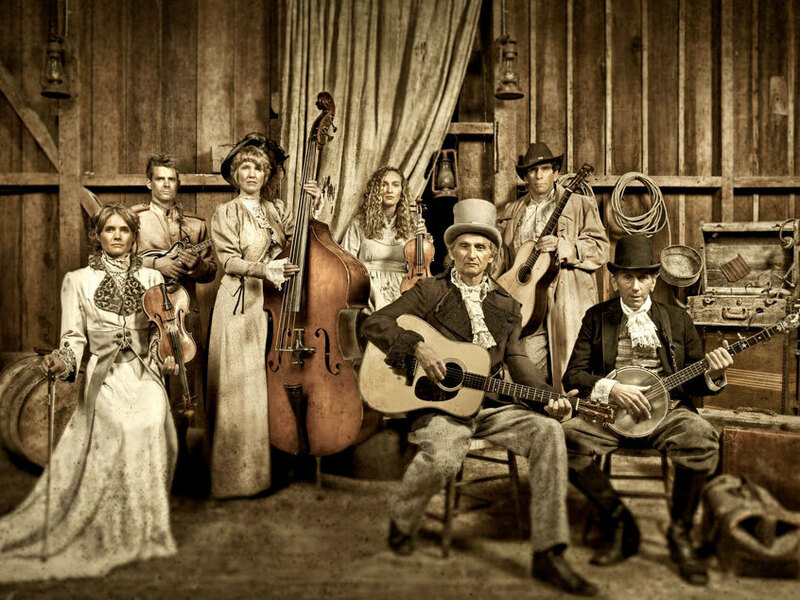 "But [bluegrass musician and investor] Warren Hellman had said that someone had referred to this sort of music as 'heirloom music,' and I loved that phrase. There's something dismissive about [the term 'old-timey'] and our point is that this music is old, but it's really good and really still pertinent." This is Gilmore's second album in a row that has explored older songs. From 2005, Come on Back was a tribute to his late father, featuring honky-tonk classics from the 1960s. But Heirloom Moments travels back even farther than that, to the 1930s and '40s — music recorded before Gilmore was born. 'Heirloom Music' will be released in May. Hear an exclusive sneak preview of three songs from the album right here. "This is music that I discovered because I became interested in where the music that I was in love with as a kid came from," he says. "I'm not a folklorist. I'm not a scholar in it. But I did become curious with a lot of it. I've been doing these songs for 30 or 40 years now, and never really had the context to record them in." One of the tracks on Heirloom Music is an old Charlie Poole song called "Leaving Home." Gilmore says he originally learned it from the New Lost City Ramblers, an old-time string band specializing in folk music from the 1920s and '30s. "I just fell in love with the song because it's just so peculiar and quirky," he says. "And as a result of that, I looked further into it and it caused me to discover some of that really old stuff and their source material." Gilmore plans to perform some of his new songs and some older ones next week at the 2011 South by Southwest music festival in Austin, his hometown for many years. He says the festival has helped put the city's music scene on the map. "In the early days in Austin, there was a great music scene here, but it wasn't part of the reputation of Austin," he says. "I think South by Southwest has made it a public fact and a publicly recognized fact that there's so much great music in Austin." "I went for a couple of years and I studied a couple of things pretty intensely, but I never did get a degree. I made really good grades in philosophy and anthropology, but I was already beginning to spend too much time in the nightlife — the honky tonks and the bootleg joints. Lubbock until recently was dry. And Lubbock's a fairly large town; it's close to 100,000 people. It was dry, so any of the nightlife that involved alcohol was illegal." "Not only was it illegal for us to be there at the age we were. There were no age restrictions, because the entire thing was illegal. And I lived in these two different worlds at the time. I had a lot of intellectual and creative friends — musicians and artists and writers; sort of university types of people. And then I had this other group of friends, because of that music nightlife stuff, who were professional gamblers. And I hung out with them a lot. I couldn't play cards. I was terrible. But I played music and I took requests from them. That's how I grew a lot of my repertoire." "There came to be this convergence of these groups of people. The intellectual crowd [I hung out with] were also music lovers and nightlife people, some of them. And the honky-tonk people and the young hippie people — my music was from the honky-tonk world, but I was more on the borderland between the beatniks and the hippies. I always had a schizophrenic feeling about my social position. I was so much into country music, and most of my friends weren't. They only liked Top 40 kind of stuff. I read this thing by Ezra Pound where he said, 'The poem fails when it strays too far from the song, and the song fails when it strays too far from the dance.' I loved that, and for some reason, that had the effect of bringing my two worlds together in my own head — that honky-tonk music was dance music, and so it was almost like Ezra Pound giving the intellectuals' endorsement to this low-brow type of music."